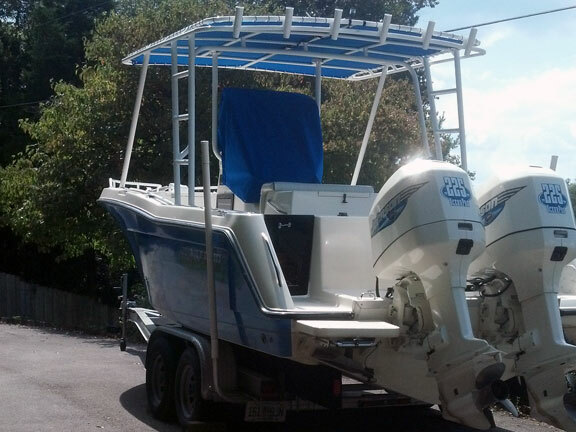 Boat Tops | CUSTOM INTERIORS & CANVAS, INC.
At Custom Interiors & Canvas, we can custom fit a new cover to your existing frame, or we can fabricate a brand new custom frame and cover to enhance the appearance and functionality of your boat. 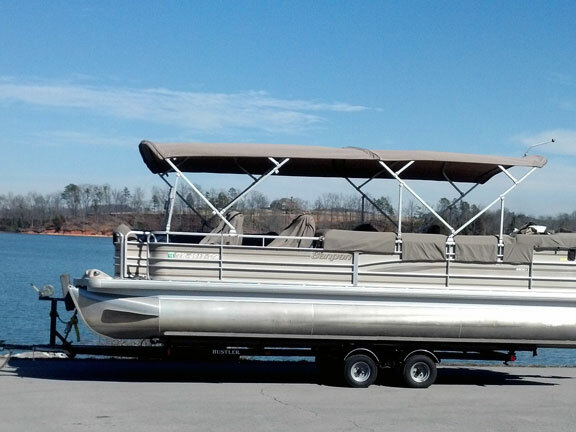 We can bend round stainless steel or aluminum frames and secure them with strong stainless steel fittings. 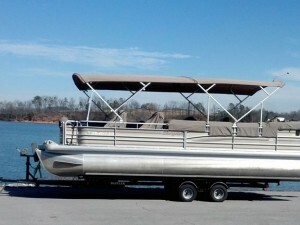 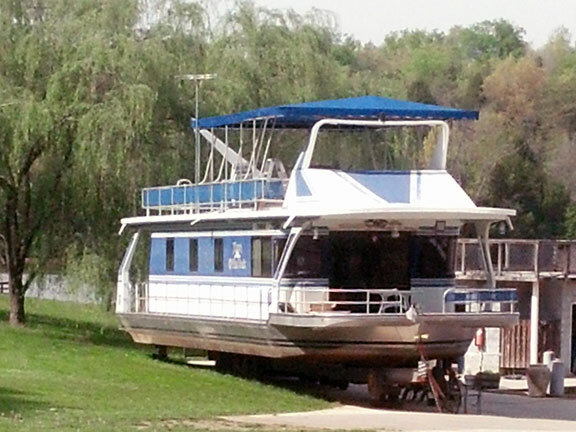 For pontoon boat applications, we can also custom fit prefabricated square tube aluminum framing. 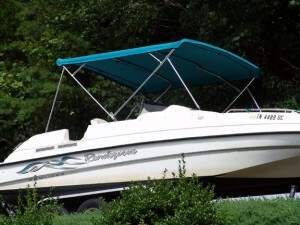 Since we custom design our tops directly on your boat, we can make all the necessary height and width adjustments to cover the exact amount of area desired. 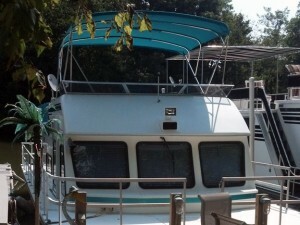 We can even cover the entire boat with a double Bimini top. Ski and wakeboard boats with towers can also be fitted with custom tops. 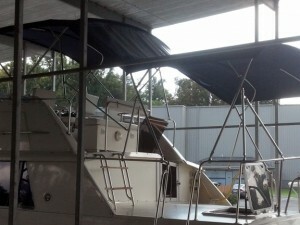 At Custom Interiors & Canvas, we make it the way you need it to be and we always make the Captain look good. We use a wide selection of attractive and durable Sunbrella Marine Canvas with a 10 year limited warranty and WeatherMAX Outdoor Performance Fabrics with a 5 year guarantee. 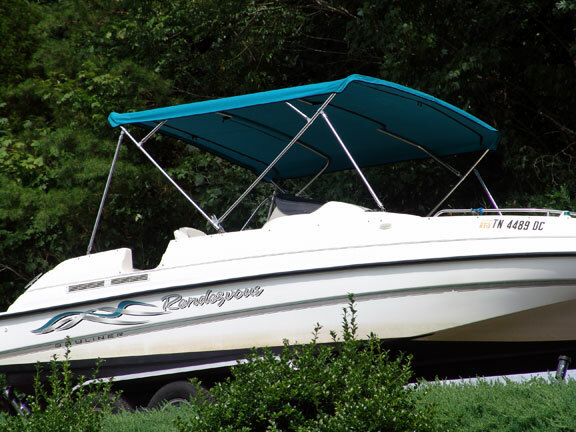 We also offer SolarFix Lifetime PTFE thread (the best thread choice for all marine and outdoor applications) and use UV treated zippers with metal pulls made to last.